This page is intended to be the official repository for all my book-length works, either authored or edited. The list below will always have the latest editions and will be expanded as new projects are completed. With one specific exceptionwhere the list links to an approved websiteI should warn that books bearing my name from elsewhere in the Internet may not necessarily be up-to-date. First edition, to be published June 2019. 88 pages. English. ISBN13: pending. Buy printed book from my Blurb bookstore. 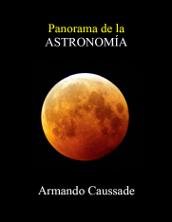 A revised version of A Little Piece of the Universe, this book is a compilation of Spanish-language articles on astronomy that I wrote over the years. The primary goal is to bring some order to his published material and thus make it more accessible to interested readers. Another objective is to bring science to the people and make it enjoyable. Disponible pronto. First edition, published March 25, 2019. 240 pages. Spanish. ISBN13: 978-0-9971755-9-2. Buy printed book from my Blurb bookstore. Subscribe to Kudu to access a web-based version. 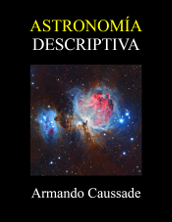 Este libro es una referencia para cursos de astronomía descriptiva, que también sirve como introducción a la astronomía dirigida al público. Atendiendo a la demanda, está escrito completamente en español. Su redacción concisa en lenguaje sencillo y abundantes ilustraciones a página completa aseguran una lectura placentera. Disponible para la venta. Second edition, published December 4, 2017. 192 pages. Spanish. ISBN13: 978-0-9971755-7-8. Un texto de referencia para cursos de astronomía descriptiva, que también sirve como una introducción a la astronomía dirigida al gran público. Con solo 192 páginas, el libro fue concebido para leerse con facilidad. Su redacción concisa, con lenguaje sencillo y abundantes ilustraciones, aseguran una lectura placentera. Disponible gratis en formato digital. 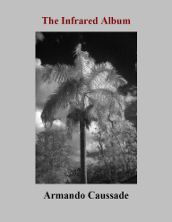 Authored by Armando Caussade. Foreword by Daniel R. Altschuler, PhD. Fourth edition, published June 21, 2017. 298 pages. Mostly Spanish, some English. ISBN13: 978-0-9971755-0-0. This book is a compilation of articles on astronomy that the author has written and published over the years. The primary goal is to bring some order to his published material and thus make it more accessible to interested readers. Another objective is to bring science to the people and make it enjoyable. This fourth edition adds a considerable amount of new material. Authored by Armando Caussade. Foreword by James M. Madsen, PhD. Third edition, published November 1, 2016. 256 pages. English. ISBN13: 978-0-9971755-4-7. Download free PDF from the PolarTREC website. After a competitive review process the author was selected as a participant for the 20142015 Antarctic field season of PolarTREC. 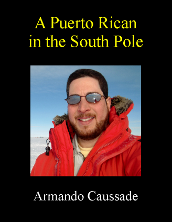 In January 2015 he traveled to the AmundsenScott South Pole station to conduct maintenance and support work at the IceCube Neutrino Observatorya memorable experience which is the subject of this book. Edited by A. Caussade, J.A. Gómez, J.A. Peña-Hevia, J. Villafañe-Ríos. First edition, published February 12, 2016. 154 pages. Mostly Spanish, some English. ISBN13: 978-0-9971755-0-9. 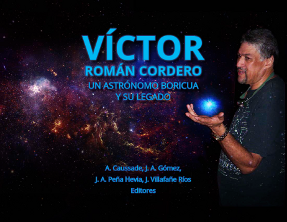 Víctor Román Cordero, astrónomo puertorriqueño, dedicó su vida a lo que más amaba: a contemplar el universo y a enseñar públicamente cuanto observaba mediante su telescopio. Esta obra presenta el homenaje de sus parientes, amigos y de todos aquellos que llegaron a conocerle. First edition, published November 30, 2015. 88 pages. English. ISBN13: 978-0-9962800-2-0. Download free PDF here. Buy printed book via Blurb. This photo book contains 32 near-infrared images obtained with a Wratten 87 filter, which blocks the full spectrum of visible light. What makes this different from other compilations is that each infrared shot comes together with its visible light counterparts. This book also runs counter to prevailing trends, as all renderings of the infrared are strictly in grayscale. 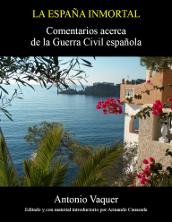 Authored by Antonio Vaquer (18831974). Edited and revised by Armando Caussade. Third edition, published October 30, 2015. 92 pages. Spanish. ISBN13: 978-0-9962800-1-3. Durante la Guerra Civil española (1936 a 1939), Antonio Vaquer español natural de Mallorca y domiciliado en Puerto Rico escribió varias cartas y ensayos que aparecieron en la prensa de Puerto Rico. Ardiente defensor de Franco y de la causa nacionalista española, empleó en múltiples ocasiones su pluma contra el Frente Popular.